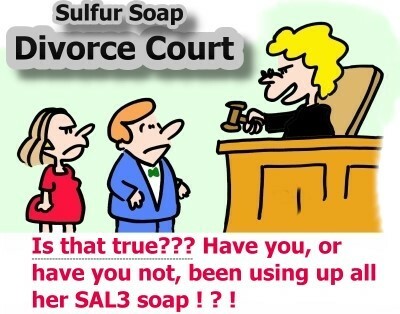 Sulfur Soap - Testimonials after using the soap ! Way back in 2000-2002, we tried something new to see how our customers liked using an online blog! We then archived it. In 2010, we offered a new blog using google's blog system, and you'll find it below. There aren't a mega amount of messages and comments on the latest blog, but that's OK. We leave them here for all to share. If you posted something, and would like it removed, please just let us know. We can do this for you. Also, we'd really appreciate if you'd leave us a note if you wish. To post, click here then scroll to the bottom to complete your comments. So what do you like about the soap? What kind of things do you use it for? Anything you would like to share with others? If it's a particular order complaint, as soon as we get it taken care of for you, we hope you edit it or at least let everyone know it got resolved - we're human too! - and really do try our best :) But if you'd like it to stay, well OK, we're happy to try and please.